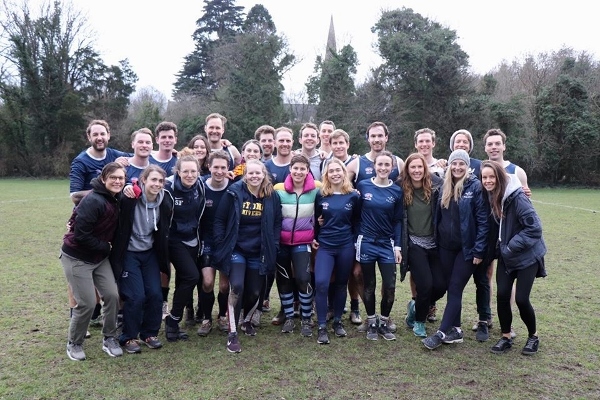 Oxford University have claimed the minor premiership in both men’s and women’s divisions after the final round of the National University League. The following article comes from the www.aflengland.org website and details the weekend’s matches as well as the ramifications leading to grand final day next month. 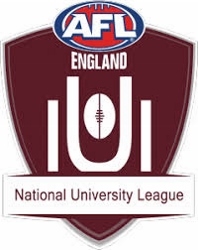 After a blistering performance in the final round of the National University League, The University of Oxford have been crowned minor premiers in both the Men’s and Women’s Division. The sides will now face the University of Birmingham in the NUL Grand Finals on March 9th. In its inaugural season, the National University League welcomed teams from Oxford, Birmingham and Cambridge as well as a combined Universities of South Wales side as they battled it out over four rounds of fixtures. Heading into the final round, the men’s Grand Final line-up was already assured, but a dominant Oxford win over Birmingham ensured that it was the Dark Blues who clinched the minor premiership. And it was a case of anything you can do, we can do better as the Oxford women leapfrogged both Cambridge and Birmingham to seal a place in the Grand Final, securing the minor premiership in the process. “We’re thrilled to not only have participated in the inaugural National University League,” said University of Oxford Australian Rules Football Club president Romy Minko, “But to be finishing at the top of the ladder in both divisions is the icing on the cake! “Both teams have trained hard this season, and I know for a fact that every player contributed to this end result. We knew that the girls needed to grab a result in the final round, and they did exactly that. Bring on the Grand Final! Round 4 also saw the culmination of the competition for leading goal kicker. Pauline O’Malley’s Cambridge side had a bye for the final round, and she knew it would be a tough ask for anyone to catch her. Oxford’s Stephanie Filbay had a crack, kicking seven goals over the course of the round to bring her total for the season to nine, just short of O’Malley’s tally of 12. In the Men’s Division, Ben Doherty was six goals clear of the rest of the field heading into Round 4, courtesy of the 13 goals he kicked in Round 2. In the end, Doherty took the title with ease, adding a further 16 today – eight in each match. The attention of all teams now turns to the Grand Finals which will be held in Oxford on Saturday, 9 March. There will also be 3rd place playoffs in each Division, bringing all four sides together for the first time.